The Chairman, Federal Inland Revenue Service (FIRS), Mr Babatunde Fowler on Monday disclosed that Governor Rauf Aregbesola's administration in the state of Osun has raised the state Internally Generated Revenue above 30 percent between 2016 and 2017. Fowler equally stated that the tax payers’ money has been duly spent and justified with massive infrastructure and socio-security programmes being put in place by the Aregbesola’s government. He made the disclosure during a courtesy call on the Governor as part of activities lined up for the 140th Quarterly Meeting of the Joint Tax Board, being hosted by the Osun Board of Internal Revenue Service in Osogbo. The FIRS' Chairman ‎commended the Aregbeola's government for being resilient, dogged and focused at raising the bar of good governance in all ramifications, in spite of the present economic realities. 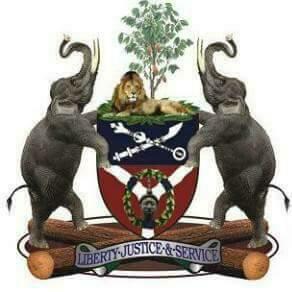 ‎Fowler noted that Osun under Aregbesola's watch has demonstrated high sense of commitment to human and capital development, a stride made possible through innovative ideology to robust taxation. He held that it is on record that Osun has made giant strides to stimulate her economy with determined efforts to an improved revenue generation, calling on other states to key into the Osun revenue generation policy, which has witnessed a geometric improvement in the last few years. According to him; "What Aregbesola has done in increasing tax revenue in Osun is amazing; while the Federal Inland Revenue Service is advocating for at least 25% increment from states, it is worthy of note that Aregbesola has increased the tax revenue of Osun above 30% between 2016-2017. "Another significant observation having gone round Osun is that one can easily see that tax players’ money is working, a lot can be learnt from Osun on what taxation can do for a state. In an address, Aregbesola described taxation as the only tool to drive modern government, saying no government can succeed without taxation. Aregbesola in his speech titled: “Deepening Internally Generated Revenue Beyond Personal Income Tax”, stressed that state system and democracy will be strong and responsive with minimal corruption, if the basis of government sustenance is taxes collected directly from the people. He emphasized that waste and frivolities will be minimised too as the funds emanate dfrom the sweat of the brow of the people and they (the people) will be more interested in how their resources are judiciously used. The Governor held that for Nigeria to be able to break from her current state of vicious underdevelopment cycle, there is urgent need to put in place a national system of effective revenue generation which requires mobilizing Nigerians for productive engagements which in turn will support the worker, family and state. Aregbesola said: “It is time for us to return to the basic. Our state system and democracy will be strong and responsive, with minimal corruption, if the basis of government sustenance is taxes collected directly from the people. Waste and frivolities will be minimised too because the funds emanate from the sweat of the brow of the people and they will be more interested in how their judicious use. "We must also return to the culture of hard work and productivity. Every resident must be encouraged to work hard and earn an income. We should discourage laziness, indolence, parasitism and expectation of free and unearned money – from politics, rituals and criminal activities.